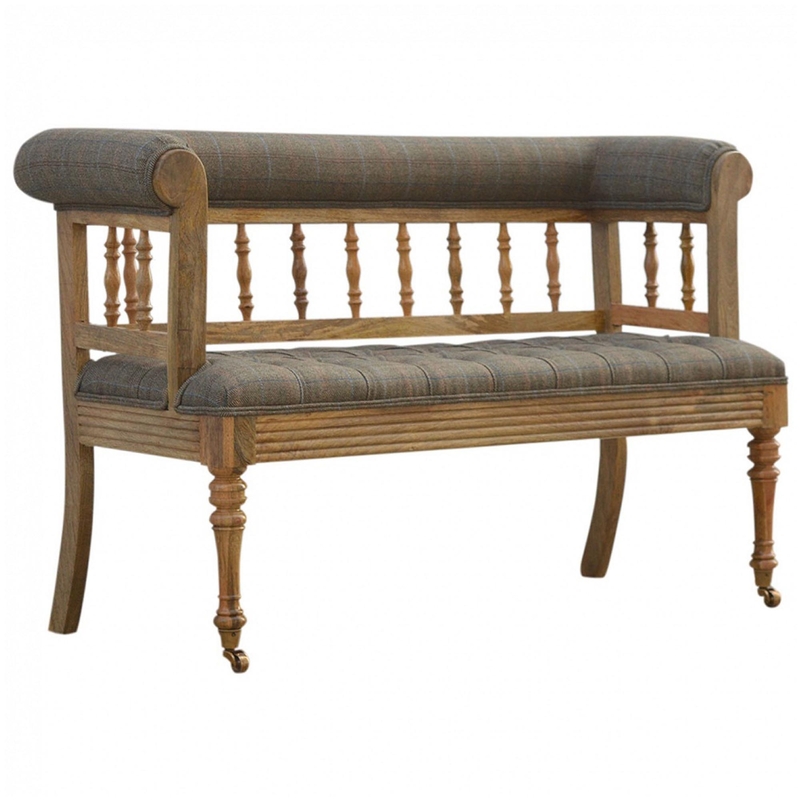 Made from 100% mango wood, this indoor bench has been hand crafted and includes a quality upholstered tweed seat as well as 4 sturdy solid hand turned wooden legs with upholstered tweed curved arms which have been finished with a gorgeous oak effect. Featuring charming curves, this wonderful piece of furniture will be able to fit amongst any style of interior. Ideal purchase if you're looking for some extra seating in your bedroom.